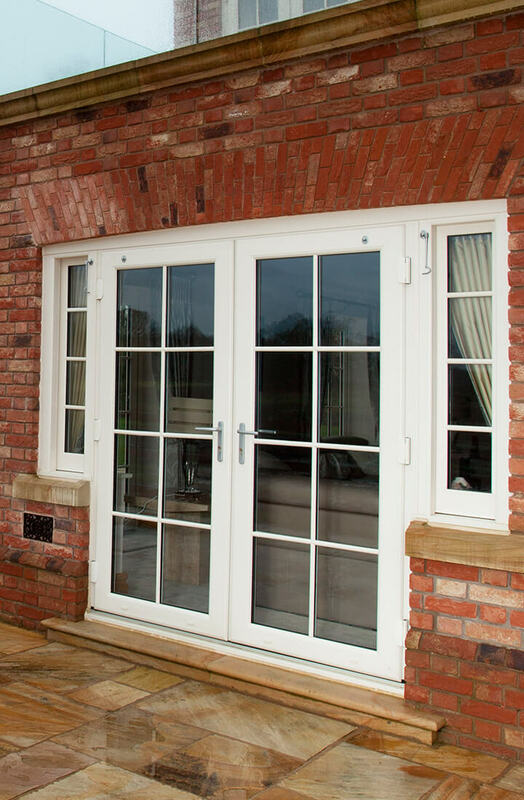 For homes that exude with classic style, you cannot go wrong with French doors. Their traditional design is synonymous with elegance and when combined with the practical qualities of modern construction materials, the result is a truly excellent set of doors. An elegant door solution available in various materials to suit any style and budget requirements for homes in St Albans, Hertfordshire and North London. 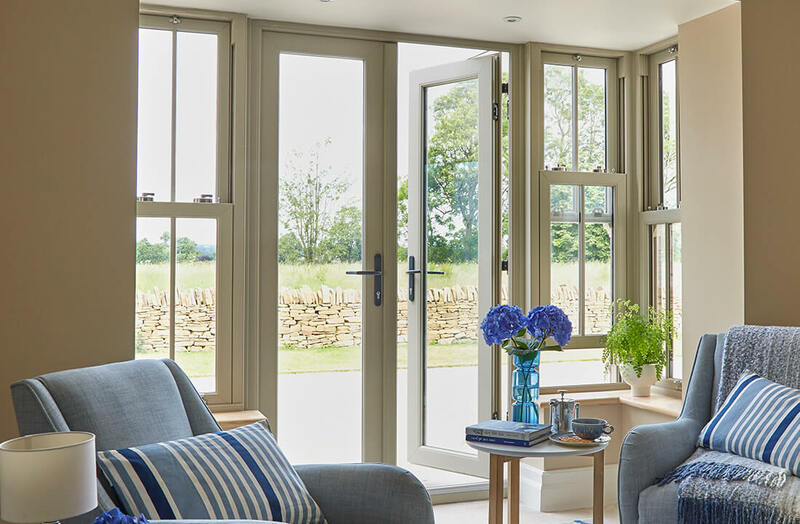 A great way to connect your home to your garden or two internal rooms together, French doors are bound to improve the visual appeal of your home. Despite their traditional styling, they are regularly found upon properties of all ages and styles. One of their distinct advantages is their wide opening capacity, which allows you to flood your home with air when the doors are open. Because they feature large areas of energy efficient glazing also, they ensure any interior rooms will feel instantly warmer and better lit. We supply them in uPVC, aluminium and timber, however composite versions are also available. 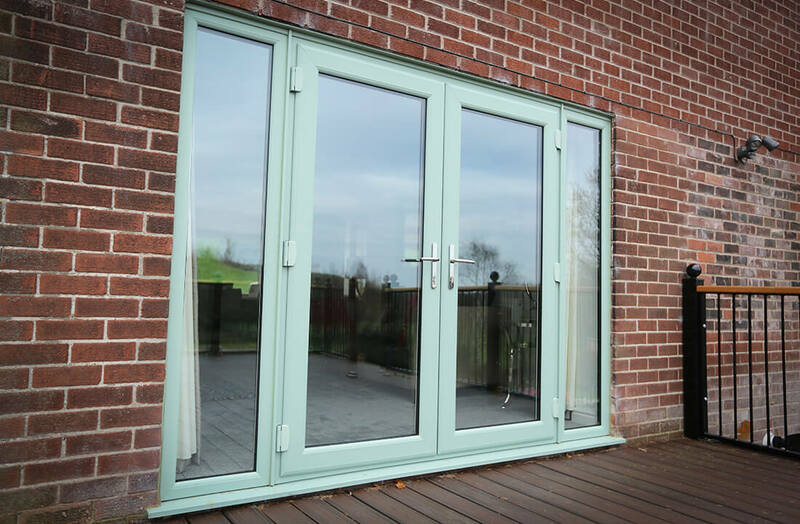 Although there a four different materials in use, every set has been fitted with a multi-point locking system. Multi-point locks secure the doors at multiple points in the frame, making forced entry extremely difficult. The latest in thermal technology and weatherproofing for a warm, comfortable home in Hertfordshire. Whichever material you find yourself leaning towards, rest assured that each type of door will keep your home fully draught-free and protected from the weather. Each material also utilises the latest thermal technology so you can expect a positive impact on your energy bills. 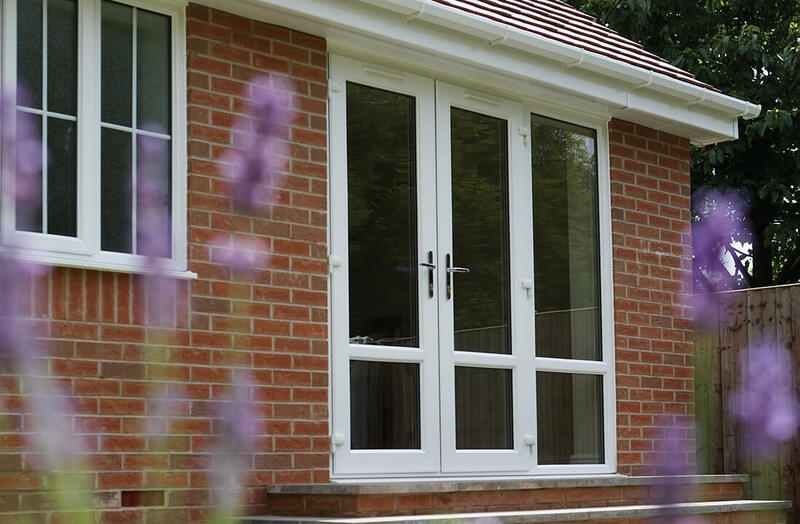 For instance, our uPVC French doors feature a profile that is has various chambers integrated into its design. These chambers trap large quantities of heat, meaning much more of it is retained inside the home. 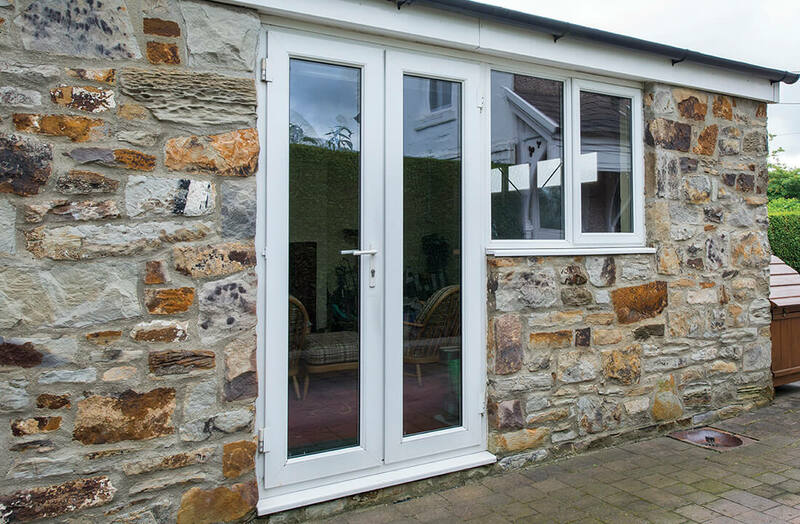 Budget Windows provides French doors constructed from uPVC, timber & aluminium, although we also supply composite French doors. uPVC is incredibly easy to maintain and tends to be more cost-effective than the other materials. 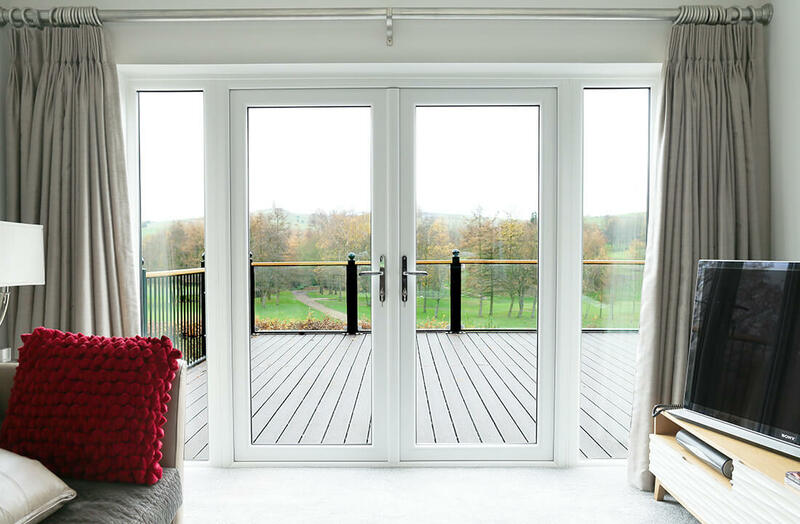 Aluminium doors feature slightly thinner frames, so they allow slightly more light inside than the other door materials. Our composites are fitted with a solid timber frame and a GRP skin, ensuring the doors are incredibly durable and secure. As a material, timber is able to last for the longest period of time. However, this is provided that it is properly maintained. If repainted periodically timber is able to last for over 60 years, even if regularly exposed to heavy wind & rain and other testing weather conditions. Choose from a plethora of colour choices, completing the look of your doors so they’re the perfect fit for your home. The colours and finishes that are available will vary according to the material, although each one comes with wide selection from which to choose. 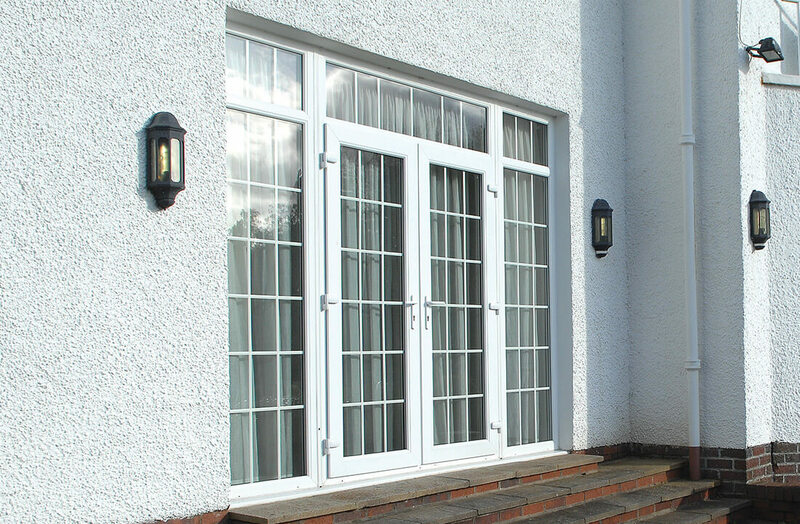 Aluminium French doors from Budget Windows are available in over 200 RAL colours. Our composites can be completed in 21 different colours, whilst we can paint or stain timber to virtually any colour of your choosing. Our uPVC doors can also be finished in a huge number of shades. Additionally, we provide the option of dual colouring the doors. This means they will have a different colour for the interior and exterior sides. This is a great option for those who are looking to ensure colour compatibility with both the inside and outside of their home. For that bespoke feel, you’re able to customise a number of areas on the door. For instance, you can decide whether you’d like the master door on the left or right, or if you’d rather the doors opened inwards or outwards. Which way they open will likely depend on your space restrictions. Additionally, you can alter the aesthetics of the door with a choice of door handles. Georgian bars, square leaded or diamond leaded glass styles are also available, allowing you to dramatically alter the appearance of the glazing. Security wise, we can fit laminated glass so the chance of someone smashing the glass to force entry through the doors is lowered further. However, we fit them with toughened glass as standard anyway, so entry via this method is already extremely difficult. Stuck for inspiration on how to go about improving your home? 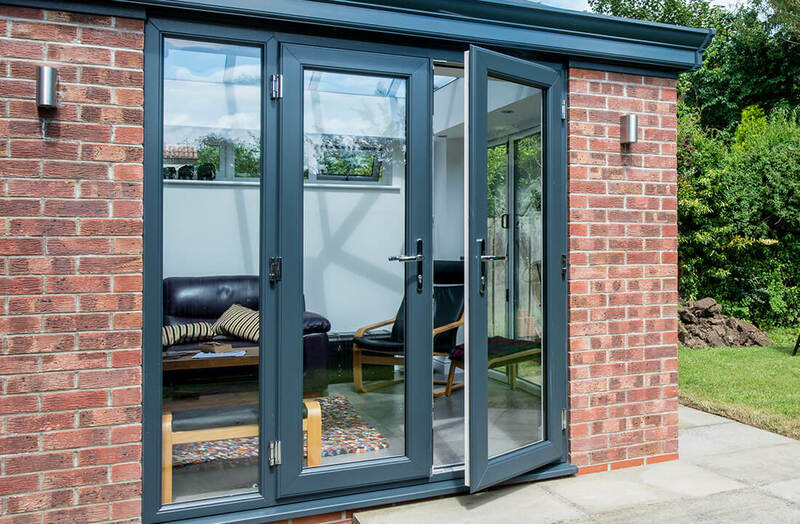 Perhaps you just can’t picture how a set of windows or a new door will look on your property, or maybe you can’t imagine how a conservatory will fit onto your garden. Regardless, our inspiration gallery contains numerous examples of our windows, doors and glazed extensions that are bound to entice you.